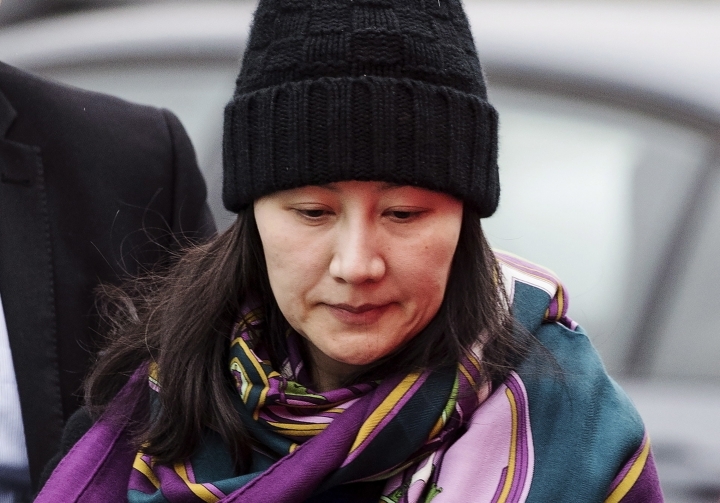 BEIJING — China on Tuesday demanded the U.S. drop a request that Canada extradite a top executive of the tech giant Huawei, shifting blame to Washington in a case that has severely damaged Beijing's relations with Ottawa. Foreign Ministry spokeswoman Hua Chunying said Meng Wanzhou's case was out of the ordinary and Canada's extradition treaty with the U.S. infringed on the "safety and legitimate rights and interests of Chinese citizens." Hua said China demands that the U.S. withdraw the arrest warrant against Meng and "not make a formal extradition request to the Canadian side." She is wanted for allegedly lying to banks as part of an effort to evade sanctions on Iran. Hua's remarks came after more than 100 academics and former diplomats signed a letter calling on China to release two Canadians detained in apparent retaliation for Meng's arrest. They also follow a report by the Canadian newspaper Globe and Mail that the U.S. plans to formally request Meng's extradition to face charges that she committed fraud by misleading banks about Huawei's business dealings in Iran. The U.S. Justice Department said it is continuing to pursue Meng's extradition and would meet any deadlines set under the extradition treaty between the U.S. and Canada. In a statement, the Justice Department thanked Canadian authorities for their "support in our mutual efforts to enforce the rule of law." China detained former Canadian diplomat Michael Kovrig and Canadian entrepreneur Michael Spavor on Dec. 10 in an apparent attempt to pressure Canada to release Meng, who was arrested Dec. 1 at the request of U.S. authorities. Meng is Huawei's chief financial officer and the daughter of its founder, Ren Zhengfei. Huawei has close ties to China's military and is considered one of the country's most successful international enterprises, operating in the high-tech sphere where China hopes to establish dominance. The letter signed by academics and former diplomats said the arrests of the two will lead to "less dialogue and greater distrust, and undermine efforts to manage disagreements and identify common ground. Both China and the rest of the world will be worse off as a result." More than 20 diplomats from seven countries and more than 100 scholars and academics from 19 countries signed. Meng is living under house arrest in her Vancouver mansion while her case is under deliberation. Kovrig and Spavor are being held in Chinese jails and have yet to be granted access to lawyers, according to those who have contact with them. The United States and other Western countries have broader fears that Huawei technology — particularly its hardware for mobile networks — could let the Chinese government listen in. Several countries, including the United States, have restricted purchases of Huawei equipment. Huawei Chairman Liang Hua said critics need to back up their allegations. "If they believe there's a backdoor, they should offer evidence to prove it," he told reporters on the sidelines of the World Economic Forum's annual meeting in Davos, Switzerland. AP journalist Paul Wiseman in Davos, Switzerland, contributed to this report.